Want gorgeous pictures, but hate lugging your big, expensive camera on family vacations? I have struggled with this for years. Add three kids to the mix and it is pure chaos! Lately, I have only been taking my iPhone on trips. I gathered some lessons I've learned for making the most of your memories with these tiny machines and included examples from my recent trip to Ireland. 1. Choose wisely on your framing. Set up your shot with good composition in mind. For landscape shots, try to place the horizon in the top third or bottom third of your image. And beware of clutter in your shot. Sometimes just a few steps to the left or right can dramatically change your image! A priory we found outside of a small town. It was very old, built 500-700 years ago. They had a central courtyard inside, and even a livewell for fresh fish. It is amazing how long these structures have stood. 2. Try a different crop. Fit your crop to your subject, maybe an ultra wide crop might be best for a city skyline. Or a tall, skinny crop may show a river, cliff, and sky! Every corner has beautiful bridges and architecture. Our favorite city activities: Guinness Storehouse tour, the Kilmainham Gaol tour, and the grounds surrounding the Royal Hospital. 3. Include yourself in some of your shots. This is so important. Include your kids, your family, but make sure YOU get in some of the shots. Even if it isn’t important to you, in 10, 20, 30 years your family will be so glad to have those memories of you. Soaring 800 tall cliffs were the most majestic thing we saw on the trip. You can see the trail in the background that follows the cliff, no fence or guard rail to keep you from getting too close to the edge. We took a ferry over to the Aran Islands and rented bikes for the day. Our visit included a gorgeous lighthouse, O'Brien's Castle, and ended with lunch and fantastic coffee at the Seaweed Cafe. 4. Get low. Many shots look a lot better if you are kneeling or even laying on the ground. Mountains look more majestic, buildings look bigger, and getting some foreground in your shot makes it a lot more interesting. This waterfall is located in my favorite location of the trip, Killarney. We stayed at the Lake Hotel, with walking paths to Muckross Abbey, Torc Waterfall, and access to the Ring of Kerry. Stunning! 5. Time of day is important. Early in the day or later in the day tend to have better lighting. The sunlight is softer and the sky usually has more color. Plus, people will squint less if it isn’t as bright out. Sunrise from the backdoor of our hotel in Killarney. The entire back of the Lake Hotel had this amazing view. 6. Pick your favorites and edit them ON THE SPOT. But not too many! Try to stick with only 10-15 total from your entire trip. My favorite editing app is Snapseed (for iPhone or for Google Play). I edit my favorites within 5-10 minutes of taking the pictures so I don’t forget which I liked best. 7. Decide what you are doing with the images. Keeping them on your phone indefinitely means they will be lost or forgotten one day. Print them in a quick photo book on Mpix or create small prints and put them in a box labeled with the year. Your family will be able to enjoy them for generations! The stone walls are everywhere. Many, many postcard moments from this trip! 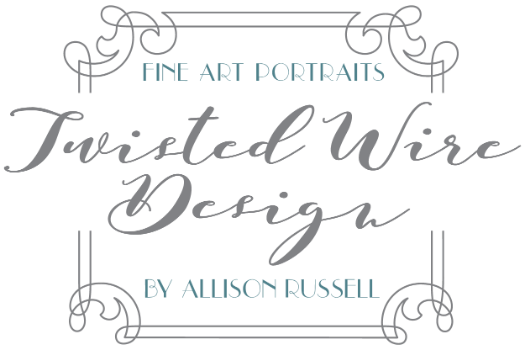 Allison Russell is a fine art portrait photographer with a boutique studio based in Mitchell, South Dakota. She specializes in family, children, senior, and sports photography, and has been internationally recognized for her portraits. She lives on a farm south of Mitchell with her husband, three children, two horses, one dog, and her husband's cattle herd.